Isn’t this lovely?! 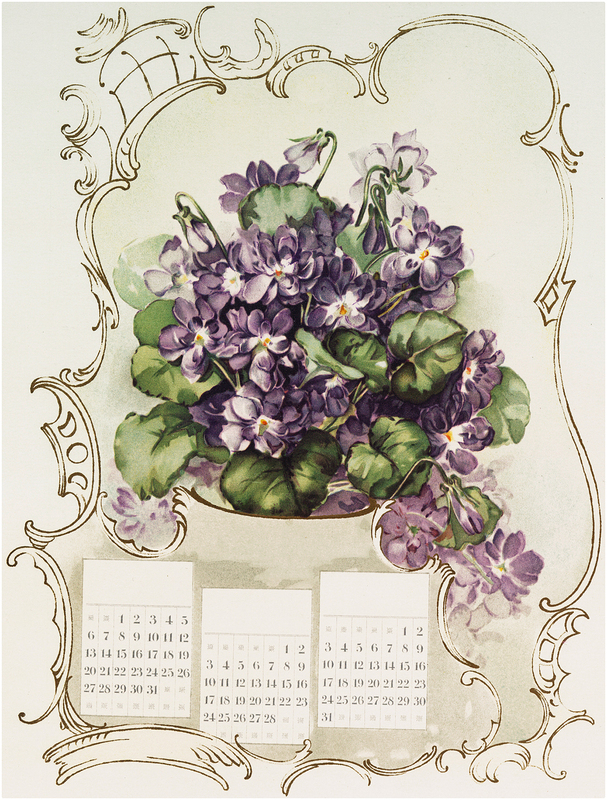 Shown here is a Beautiful French Violets Calendar Image! This is such a pretty picture, featuring loads of Purple Violets, inside of a French Style Frame, and 3 blank Calendar pages. So lovely for your Floral themed projects!